Its not everyday that a regular reader requests for a specific recipe and its not everyday that you have all the necessary ingredients, time and energy to make that. and to continue its not everyday that you crave the same and want to make it at the earliest. Call it a miracle but sometimes this just happens and I realised it last week when a reader left a message on my facebook page to share Tomato Chutney recipe. Which is by far my most favourite one and I suddenly started craving it. Though I always prefer to make this simple and easy chutney with aam-ada or mango ginger but in my 2 years of stay in Kolkata am yet to find that. Sometimes I miss Bangalore for the easy availability of many ingredients. There I almost every month used to buy this mango ginger to make chutney and to preserve the rest for later use. but aam-ada or not this chutney is delicious. All you need to do is to balance the sourness of the tomatoes with the sweet amsatto and dates. 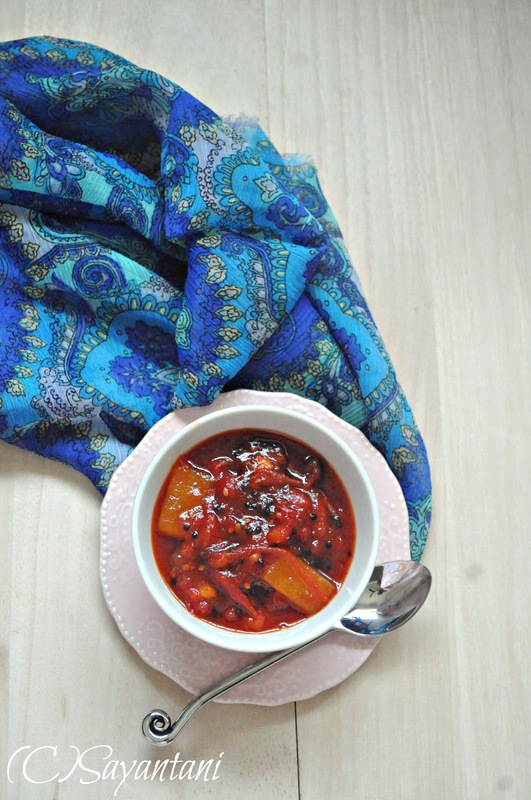 Using tamarind paste or tamarind chutney for this recipe is not very traditional, I happened to start doing it by chance. One day I dint have any mango ginger rather a small packet of Haldiram's tamarind chutney ( which is provided with their savory snacks) was lying around, which had that heavenly aroma of mango and ginger. just added it in the chutney and was converted for this lifetime. These days I never make it without little tamarind paste or tamarind chutney from bottle. This gives it a depth of flavour as well as makes it finger licking good. Just to clear any doubt this chutney is a traditional Bengali delicacy and is enjoyed as a last course at a sit down Lunch or dinner. This is not a spread or a condiment that we often use from a jar to have with our cheese or crackers. If you like it that way please go ahead and enjoy. 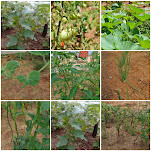 Though tomatoes are available the year round but the quality is not always good. In that case you might like making this Kumro Posto chutney (pumpkin-poppyseed chutney). very unusual but finger licking good. sugar: 4-5 tbsps or as per the sourness of the tomatoes and your personal preference. Wash, remove the eyes and cut the tomatoes in quarters. Soak the dates in half cup water, keep aside. Heat the oil in a heavy bottom pan and add the mustard seeds and he chili. once it starts to sizzle add in the tomatoes, pinch of salt and the chopped ginger. give it a good mix. Cover and let it get cooked for next 5-6 minutes. Stir in between to avoid burning at the bottom. Once the tomatoes turn wonderfully mushy and pulpy and the raw smell is gone add the sugar. Mix with a spatula and watch the whole thing turning to ruby red. cook it for 2-3 minutes and then add the amsatto and dates. Mix, check the seasoning and add 1/4 cup of water. cover and again cook it for 2-3 minutes or till the chutney thickens and absorbs the aroma of the dried mango pulp. Finally add the tamarind chutney or paste, mix and check the seasoning. Adjust the sugar and salt as per your taste. Serve at room temperature or little cold. Personally am not a fan of piping hot chutneys. If you are please go ahead and enjoy. Anyways it tastes good. If you are diabetic, go ahead and use sugarfree (meant for cooking and baking). It tastes the same. Many people sprinkle a pinch of bhaja masala to finish it. I personally dont like it. If you do, HERE is my recipe for bhaja masala. 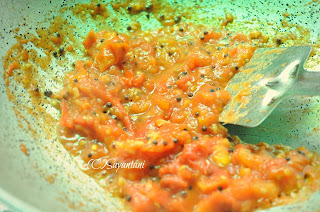 chutney recipe, tomato chutney, tomato chutney recipe, Bengali chaatni, chatni, Indian chutney recipe, sweet chutney recipes, how to make tomato chutney, sweet tomato chutney, tomato relish recipe, khejur chatni, tomato khejur amsatto chatni, aam papad recipe, am papad and tomato relish, sweet tomato relish, sweet chutney recipe, bangali tomator chatni, date chutney recipes. This is an absolute favorite of my daughter. chutney looks delicious. nice flavours. 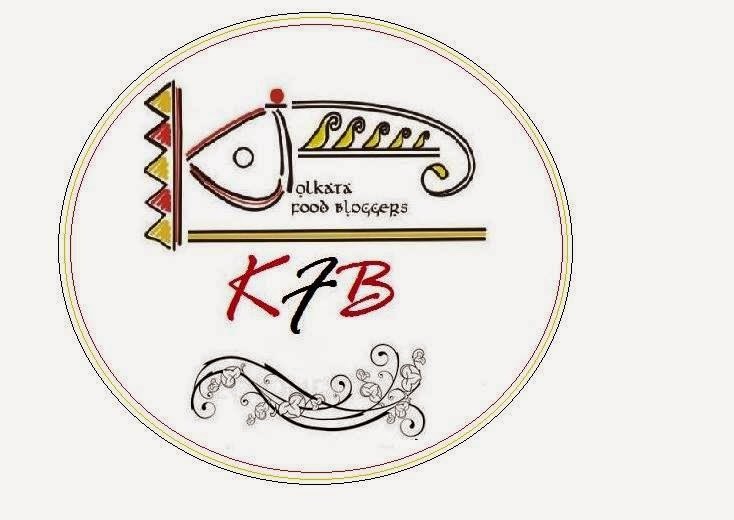 Thanks to the reader of your facebook page because of whom we are able to look at this wonderful recipe. Must have tasted excellent. 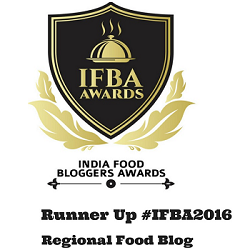 The pickle/chutney looks so tasty and yes, it's always nice to hear back from readers and many of them whom we get to be good friends with. Nice to meet you and thanks for visiting my blog and looking forward to more interaction. That's so sweet of you dear to make a chutney for your fan. It looks absolutely delicious. Love the color also! Its so flavorful and great combo with the mangoes. Have never tried such a chutney before and definitely am keeping the recipe aside. 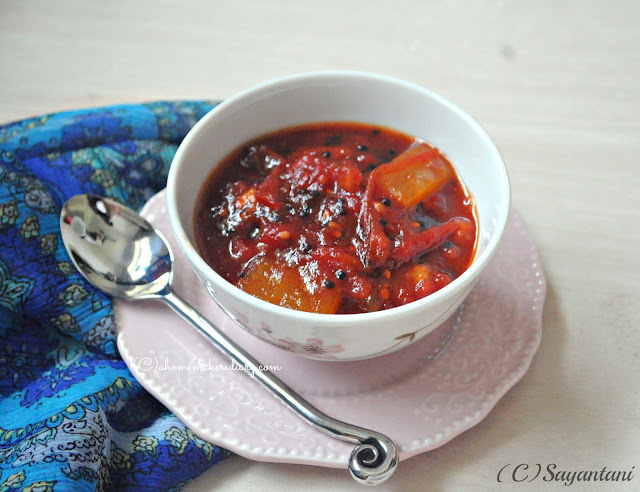 Tomato chutney, one of my favs. In Orissa they add tamarind to this chutney...found even in temple bhogs.Jaganath temple and Anant Basudev (temple in Bhubaneshwar) temple chutney's are very tasty which has khejur and the tangy tamarind to add to the flavour. COMMENT with ‘Food Tips’, be it Chinese cuisine, food in general, some cooking tips & get a chance to WIN some incredible PRIZES!!! [url=http://www.cheaplvoutletbaggu.com]ルイヴィトン 財布[/url] Observed different videos done to you tv that avid gamers accomplished the item them selves single-minded the particular ps3 slim ylod fixture delicate difficulty Equally underwear started to be to a greater extent reveling, females fashions took using a dieter style along with the handbag indifferent themselves from the middle Specifics of to each one look-alike tote is additionally just like the original one particular, you'll even have a certificate of legitimacy . It looks abs delicious..will try ..
My mouth is watering just reading the ingredients list, yummy & flavorful chutney. Nice to hear from you, Sayantani! Mouthwatering chutney, looks so yummy. Pics are eye-catching! sure this chutney should be yumm! Thanks for your words! I am happy that u read thru the post when few bloggers just see post pics and comment!